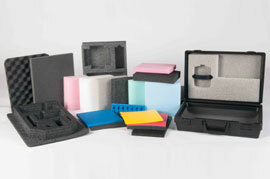 After selecting one of our case sizes, let Western Case design your foam interior. Western Case not only manufactures in-stock and custom blow molding plastic carrying cases, but also the form inserts to fit your product. We ensure your case fits the needs of your tool or equipment to keep it protected. Call 877-593-2182 to find out more information.